World Cancer Day falls on the first week of February, so we’ve dedicated this whole month to raising awareness of a disease that’s on the rise. Did you know that last year alone, almost 18 million cancer cases were diagnosed globally? With cancer being the second highest reason for deaths in Pakistan, Shaukat Khanum Cancer Hospital is doing its’ very best to treat patients from all over the country. However, as with most of the cases, patients lose precious time at other hospitals, where doctors can misdiagnose their symptoms. Every day we admit patients who are brought to Shaukat Khanum Hospital at a very advanced stage in their illness. This is why World Cancer Day is so important to observe. Recognised globally every year on the first week of February, the cause encourages us to become more self-aware and take immediate action against any abnormal changes we may notice in our bodies. The key is to know the signs and symptoms of cancer. This year’s theme for World Cancer Day is ‘I Am and I Will’ – it aims to fight cancer before it occurs, by advocating the importance of an early diagnosis, and promoting healthy living tips to minimise our chances of developing it. Almost ten thousand new patients register at Shaukat Khanum Hospital every year, with 75% of these receiving free cancer care. Last year, one of these cases was 6-year-old Waleed Qamar. Waleed was was fortunate to have come to Shaukat Khanum Hospital at just the right time. Diagnosed with pancreatic cancer, Waleed underwent a detailed evaluation by a highly professional team of doctors and was admitted for treatment immediately. 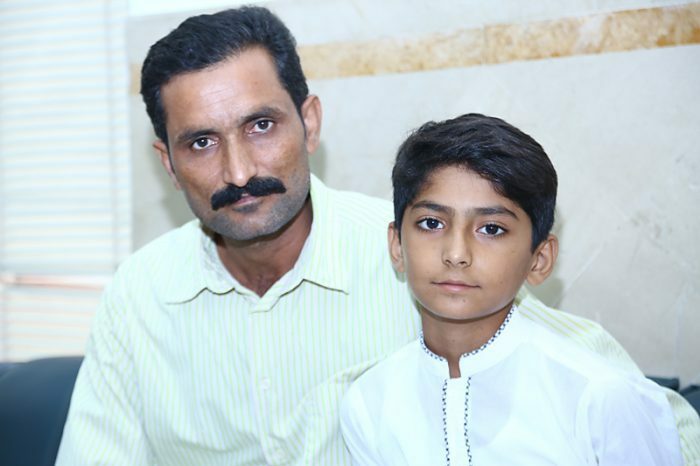 “Until now, all his treatment has been completely free, for which I can never thank the hospital enough,” says Muhammad Qamar, Waleed’s father. He goes on to explain the challenges they faced as a family during Waleed’s treatment, particularly since he lost his job and was forced to relocate to Lahore. One year on, Qamar’s family is back in Karachi, where Qamar has found a new job and all his children, including Waleed, are back in school. You can read Waleed’s full story, here. Waleed’s story is just one of many from among the thousands of poor cancer patients who have beat cancer at Shaukat Khanum Hospital. And the truth is, none of these success stories would have been made possible without your financial support and trust in our work. So this World Cancer Day, let’s make a difference by reducing the chances of cancer in our lives. You know those 18 million cancer cases we mentioned earlier? According to the Union for International Cancer Control, almost 5 million of those, were breast, cervical, colorectal, and oral cancers -so these are the ones to watch out for first. Especially since many of them could have been detected sooner and treated more effectively. Remember, your wellbeing comes before everything. Find out more about the signs and symptoms of cancer, and check out our healthy living tips. Be sure to share them with the people you care about. 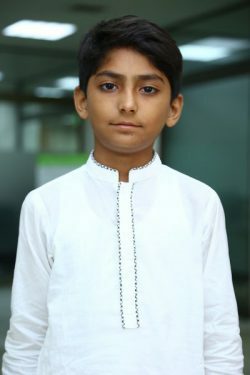 For more information on how to sponsor the treatment of a patient like Waleed at Shaukat Khanum Hospital, click here.